A weight-efficient structure that eliminates deformation of the roller assembly structure allows to use more rigid fabrics can be used and in larger sizes, offering the option of longer custom drop combinations. 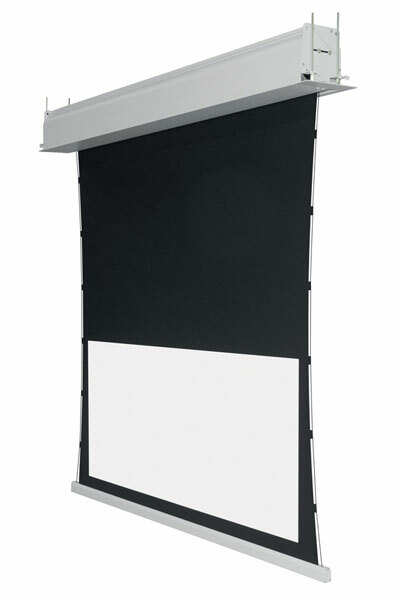 This screen solution also allows a more convenient and quick installation thanks to the improved new installation brackets and the new lateral cover with magnets system. In addition the casing is provided with new safety cables. Tensioning system consisting of a double lowbar and tensioning cables. Lowbar consist of two weights, one of which is responsible for the vertical force of the material and the other associated with the tensioning cable system is responsible for the flatness of the material horizontally.